Without a clear route or direction, we are easily loss in the middle of the way. As investment takes time to compound the interest to a very big amount, we usually have to be very focus on the investment philosophy that we have set before. Since I invested in stock market from year 2003 onwards, I already remind myself that I have to follow the rules that I have set and adjust it along the way. Sometimes, we will also need to update the GPS map as there is new shorter route appears in the map, but we must remember where our destination is. Sometime the road is not smooth. You will meet a up trend and down trend. So you have to adjust the gear to drive it slow when you are in up or down and drive it fast when you road is a straight line. After a while, we might get tired of driving in a long journey. We have to rest for a while, take a coffee and enjoy the scene nearby. You will find that the scene in the journey is always beautiful. Sometime it's even beautiful than the scene in the destination. in the long journey. You will find a mate during your early journey and find another during your late journey. You will find that you are alone in the journey. Nevertheless, try to find out more friends who have same interests with you. 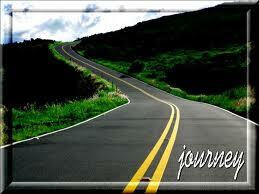 You will find out that it is actually not really a lonely journey eventually. Don't every give up easily until you arrive your destination. I knew that it is very tiring and exhausting experience when you keep driving for a long time. However, why don't you try to rest for a while, and keep on moving to your destination? You will be happy to make a decision to keep on moving until you reach your desire destination.